There are a couple of different styles here, one’s with and without an acetate window. 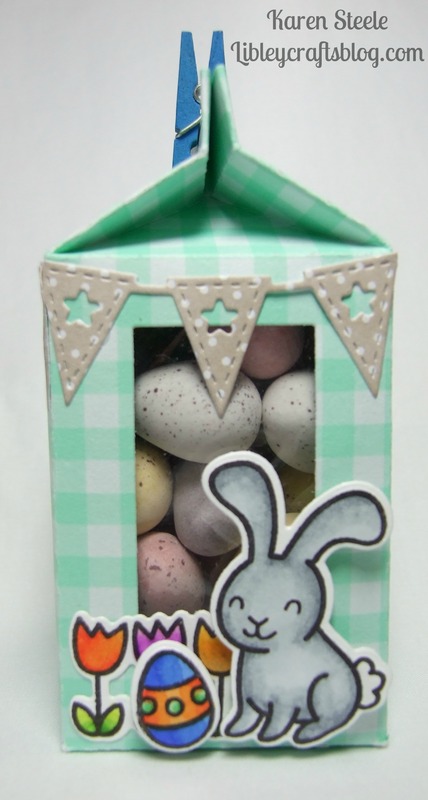 Of course these boxes don’t have to be just for Easter and there are some fab ideas that you can see on my Pinterest page – Packaging Ideas, Gift Bags and Boxes. 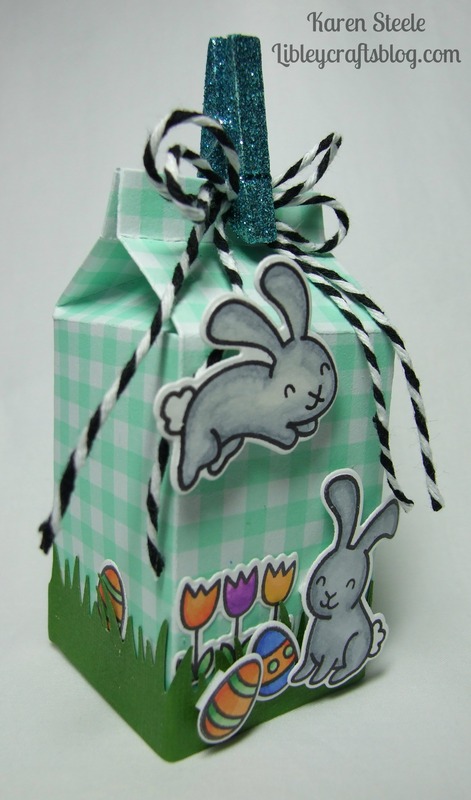 To make these sweet (pardon the pun) boxes I have used the following: Sizzix Milk Carton Die, Memory Box Stitched Rectangle Die, Lawn Fawn Grassy Border Die, Joanna Sheen Bunting Die, Lawn Fawn – ‘Happy Easter’ stamps and dies, Spectrum Noirs, twine, gingham ribbon, acetate, mini pegs and gingham cardstock. Oh, my! 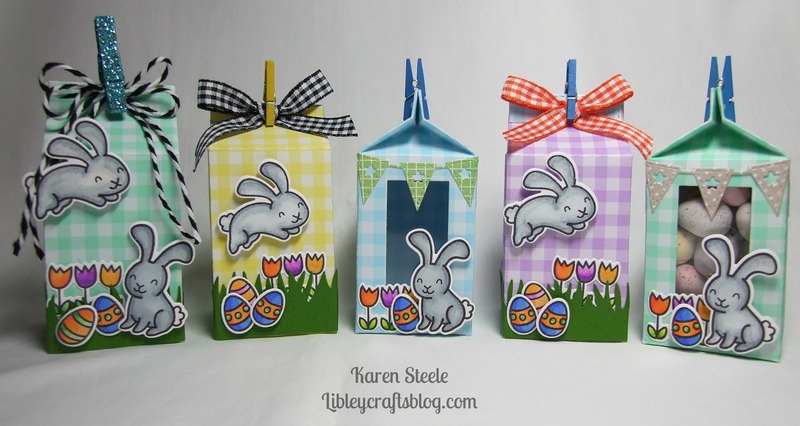 Just look at all those sweet Easter gift boxes…so CUTE! I’ll have to make some of these for my nephews for next year! They’re adorable! Same design and images used, but still they have an individual look. Super cute! !